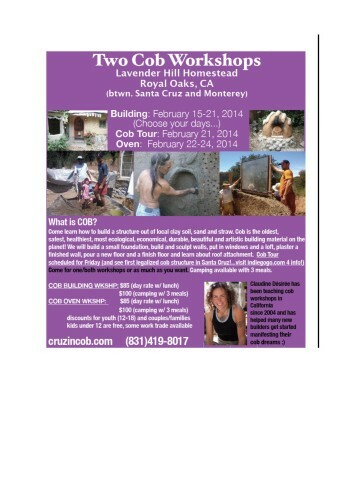 Cob Workshops Upcoming Events : : Santa Cruz Cob Workshops: Building, Oven and a Tour of Local Cob Buildings! 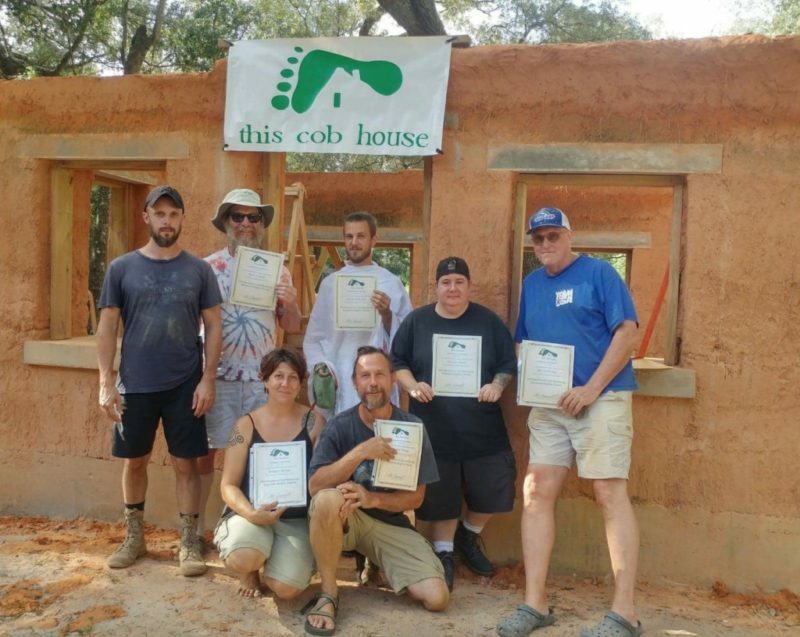 Santa Cruz Cob Workshops: Building, Oven and a Tour of Local Cob Buildings! 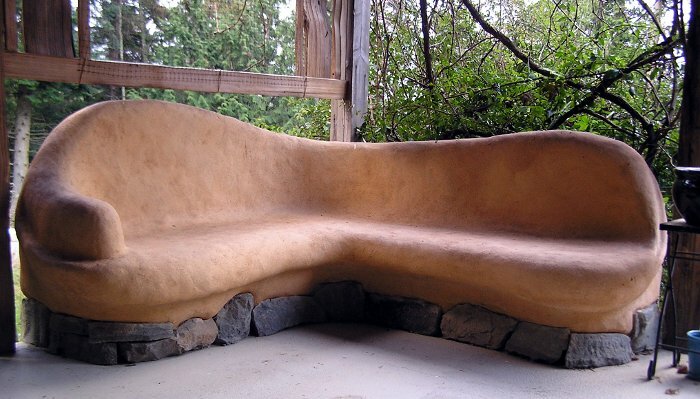 Check the website to see the 10-day schedule (includes Tour of Local Cob Buildings on Day 7, Feb. 21) and come to one, both or any day(s) you want at the daily rate. We will be working on 3 different projects to get maximum experience during the workshop. 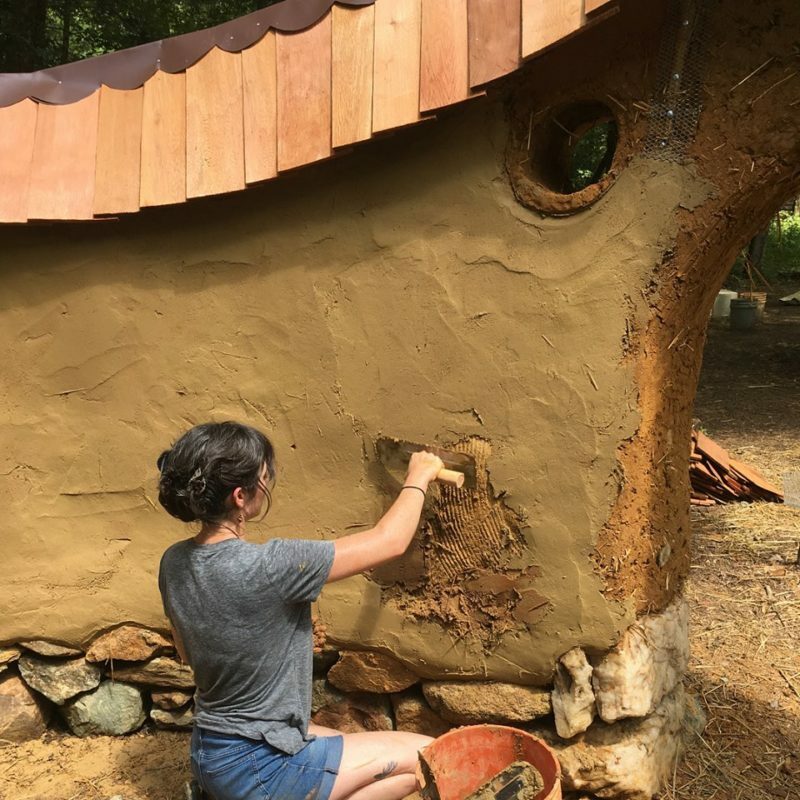 Come to sunny and warm Santa Cruz County and learn the whole shabang in 10 days…building a cob structure and building a cob oven. Or just choose one workshop. We will be learning everything from foundation to roof including installing a loft space, and actively doing it hands on except for building the roof. For the foundation, we will build a smaller foundation to practice and learn. Camping is free and can come with 3 meals. Experience the bliss of learning, working and having fun doing it with a group of like-minded, like-passioned new friends. « Cob Workshops Celebrates New Event Calendar!